As the people-centric project, Magnum always tries to meet the needs of the community. During the last month, our team has been getting lots of requests from Tezos community to implement the support for Ledger. 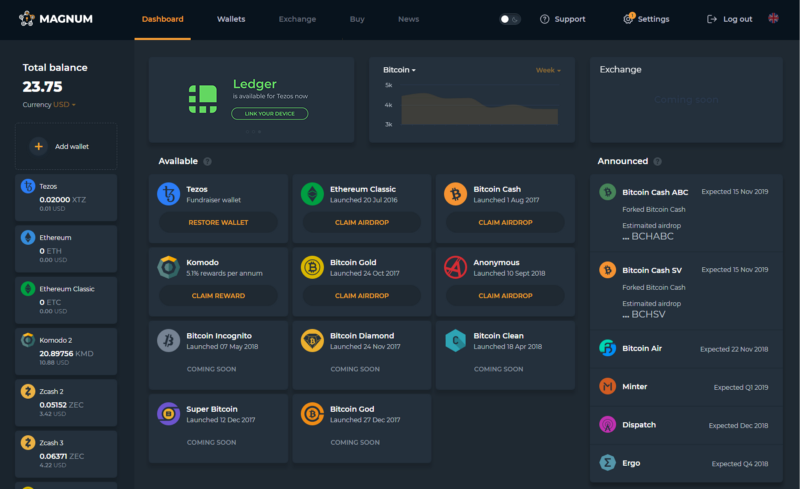 Having realized the importance of this feature, we started to design special GUI to provide users with the safest way to manage XTZ. 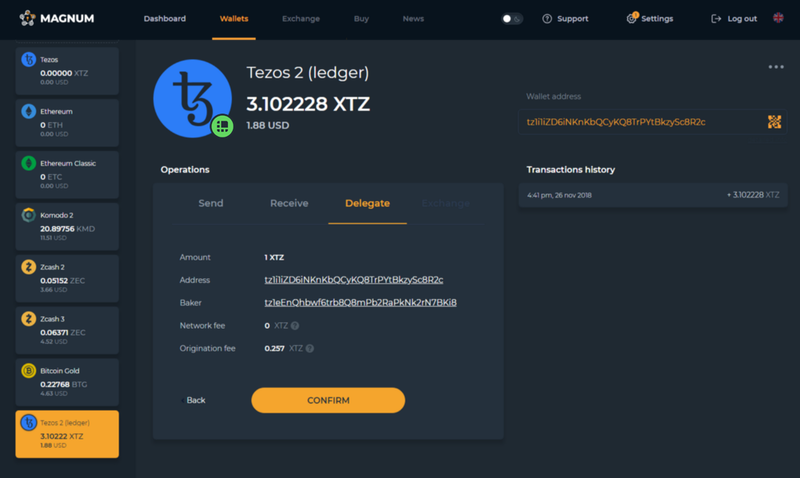 Therefore, now everyone who is taking care of XTZ can send, receive and delegate them on Ledger using Magnum interface. Before you start reading this guide you have to create your Magnum Wallet. This article will help you to create a wallet. At first, to start managing XTZ on Ledger you have to connect it to your PC. After that, you must enter the passphrase to unlock it. 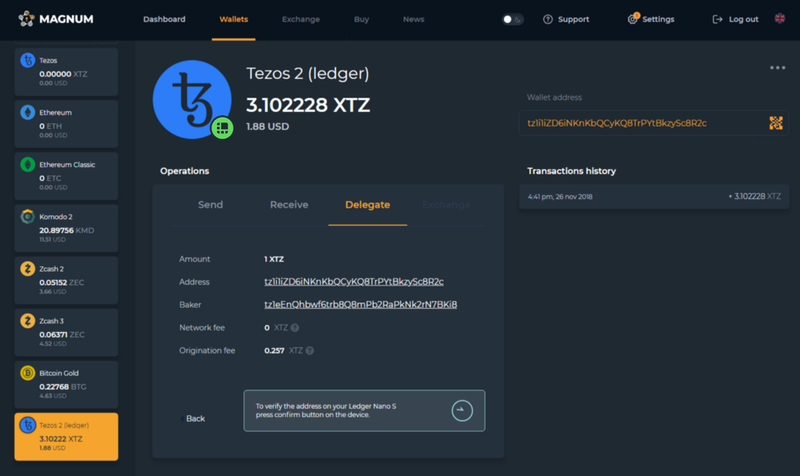 In case you’ve already installed Tezos wallet on your ledger, choose it and move to the second step. 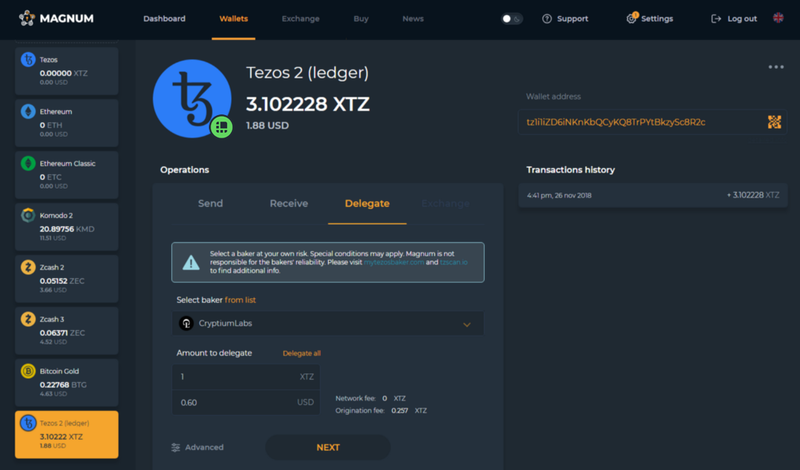 Otherwise, read this guide on how to add Tezos wallet on your Ledger. 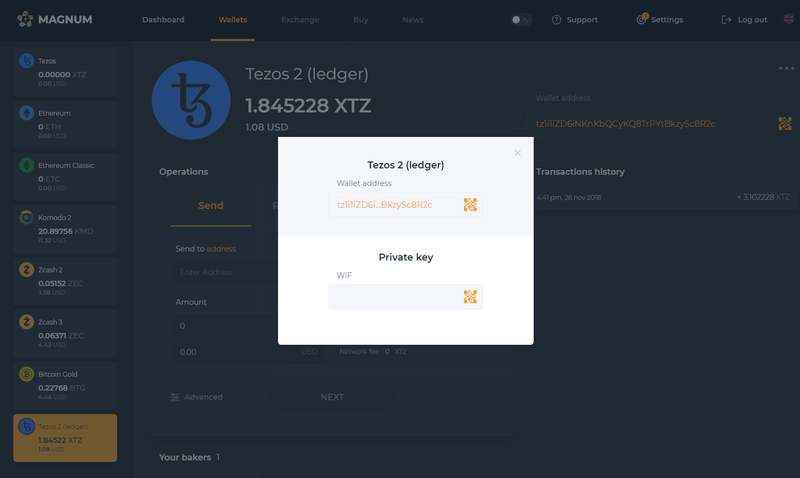 Lets back to Magnum Wallet: to use Tezos wallet on Ledger press the button “Add Wallet” on the left sidebar. You have to choose Tezos and Link Hardware wallet to import from Ledger. Once you press “IMPORT”, Ledger will ask you to provide the public key hash. Confirm this action to move forward. Congrats! All the information which is available to get with the public key is presented to you in Magnum wallet. It is necessary to choose the delegation tab where you have to select a baker from the drop-down menu and to enter the amount you want to delegate. Press “NEXT” to see the detailed information of the transaction and “CONFIRM” to delegate. Magnum will automatically create a new KT-address and delegate XTZ from it. It’s required to sign the transaction with the private keys on Ledger. You have to press the confirmation button on the device to provide the private keys and to perform the transaction. Success! Your transaction was sent to the blockchain and will be confirmed in 1–2 minutes depending on how swiftly it will be included in a block. 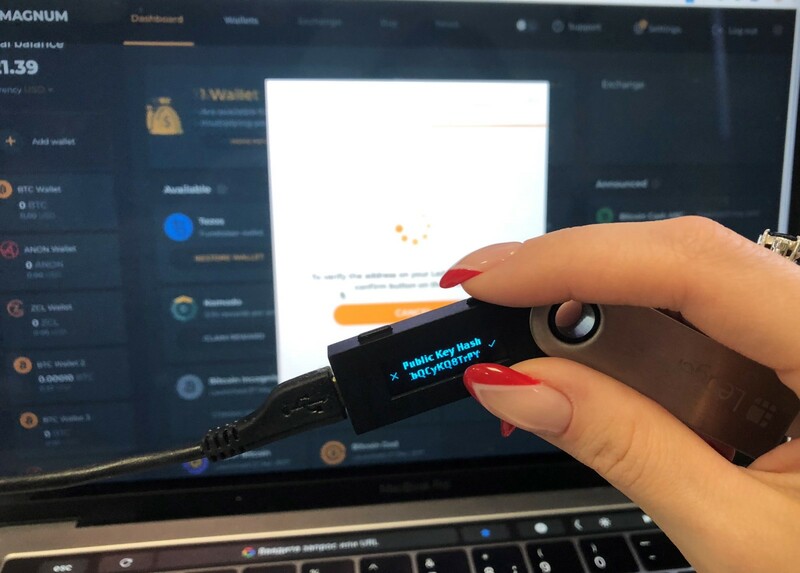 The linked hardware wallet will be available as a watch-only wallet in Magnum. You will be able to receive transactions and to watch the balance without Ledger. As you can see on the pic below, I tried to get the private key of my Tezos wallet on Ledger, but It’s unavailable in Magnum as it is stored only on Ledger.